A delegation from a proposed new MotoGP project in Brazil will travel to this weekend’s British round at Silverstone for a series of meetings that will be pivotal in deciding whether the South American nation returns to the world championship calendar in 2014. The proposed race at the Autodromo Internacional Nelson Piquet Brasilia is totally dependent on a huge multi-million redevelopment of the track, and the GP Safety Commission will conduct an in-depth analysis of plans later this weekend at Silverstone. The outcome of that summit will determine whether Brazil will return to the MotoGP schedule for the first time since 2004. Dorna CEO Carmelo Ezpeleta, who made a whirlwind visit to Brazil immediately after the recent Indianapolis round in America, told MCN: “In Brasilia it is a very old circuit and today we couldn’t use it. But there has been a project thinking how to improve the circuit. "The circuit is inside of the city and very close to the stadium where they opened the Confederations Cup and where some of the games will be played in the World Cup next June. "The stadium holds 65,000 and there is an arena for basketball and other sports and then there is the circuit. But the circuit now is 6km and the final track will be just over 4km. "The people of the project and the governor of Brasilia will come to Silverstone and speak with the GP Safety Commission. If the project is acceptable then they will open the tender to do all the works immediately after Silverstone. To take advantage of funding for sporting projects linked to next year’s football World Cup, the Brasilia track must join the schedule in 2014. But that creates a scheduling headache for Dorna, which is keen to resist expanding beyond the current 18-race format. A new track in Argentina will definitely join next year’s schedule and will be run as the second or third race in April either before or after but not back-to-back with the Austin race in Texas. 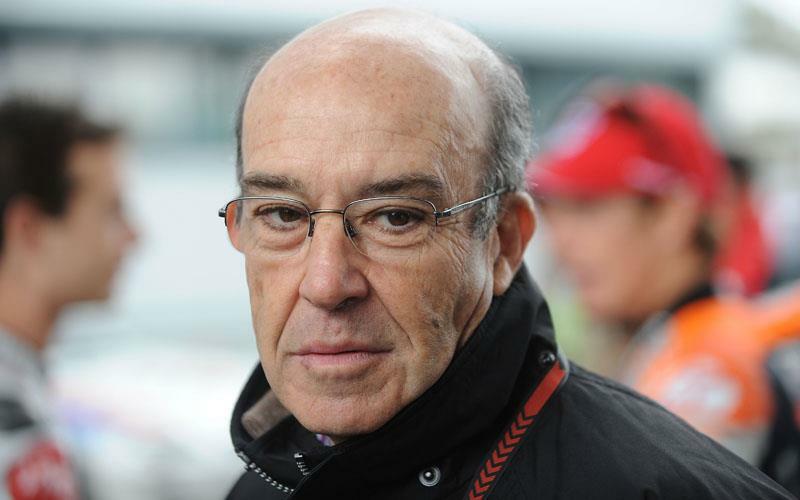 One of the existing races will be dropped to keep the 18-race format but Ezpeleta refused to be drawn on whether Laguna Seca or Valencia were most vulnerable, as paddock rumour has implied. Favourite for the axe until recently had been the Indianapolis round at the legendary Motor Speedway. But the Indy race will be on the calendar in 2014 having agreed to completely re-surface the infield track and re-model sections that are now too tight. Talks between Dorna and Indianapolis management are now underway for a new multi-year deal beyond next year and Ezpeleta added: “Now Argentina for sure will enter into the world championship and that means one of the existing races will not happen next year to keep the calendar at 18 races. "But for Brazil we need to make another space and it is not sure if we cancel another race and then Brazil doesn’t happen then we are left with 17 races. Most probably we will present a pre-calendar with some TBC races. Ezpeleta said everything possible would be done though to ensure that the Brazil round goes ahead. MCN understands it could even be pencilled in as the final race of 2014 to give organisers the maximum amount of time possible to revamp the current facility to be ready. South America is also a key market for the likes of Honda and Yamaha and Ezpeleta said: “If there is a possibility to be in Brazil then we need to consider because the economy is growing and it is a very important market in South America for the bike manufacturers. MotoGP: What will the calendar look like in the future? MCN Fleet: Can you tour on a Honda CBR650R?